Would you like to earn between $120,000 and $150,000+ each year? Do you have a Pantech truck? If you’re answering yes, yes, yes and yes, then Alsco has the perfect opportunity for you. Alsco is looking for Delivery Subcontractors to join the team as part of the product and customer service delivery chain. You’ll operate your own business using Alsco’s world-class training and processes, delivering innovative products and services to hundreds of customers on your exclusive route. Every day, Alsco’s exceptional sales team will work hard to bring you new business, exclusive to your route, at no additional cost to you. As your orders grow so will your earnings with the busiest city routes earning in excess of $150,000 per year. then apply now to become an Alsco Delivery Subcontractor. Routes are being filled fast, so don’t miss out. Yes, you will need a white Pantech truck that is in good condition and less than 8 years old. 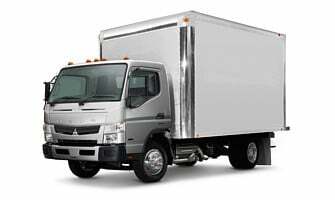 It can either be your own truck or leased. We’ll provide the truck with Alsco and Fresh & Clean branding that looks bright, professional and will help you attract more customers. Yes, Alsco provide everyDelivery Subcontractor with a comprehensive 4 week training programme which covers everything from route logistics, customer service techniques, product education, installation procedures that is fully documented in the Alsco Service Excellence Program. Can I get paid while I learn? Absolutely! Every Delivery Subcontractor automatically receives fully paid, on-the-job training at the relevant award rate. You start earning on your first day and for the entire 4 weeks that you are being trained. How can I earn the maximum amount? Alsco have been serving Australian businesses for 50 years and with over 45,000 businesses big and small, all around Australia, there is sure to be a route that suits your income needs. ze of the route you’re looking for and how far you’re willing to travel. We’ll do our best to match your request with the available routes. The average route will earn you at least $120,000 to $150,000 per year. The busiest city routes can earn you more depending upon the workload and number of hours worked. These opportunities are being snapped up fast by the best applicants. I have a friend/partner/family member who is also interested. Can I apply on their behalf? Alsco welcomes husband and wife teams. Running a Delivery Subcontractor business together makes the work more enjoyable and the responsibility can be shared. Make your application in the same way, but mention that you are a team. What paperwork do I need before I register? Where can I get the required business licenses? Visit Business.gov.au to set up your company and learn more about tax obligations. Because you want to work for the best! Alsco has an unmatched reach with over 45,000 customers around Australia and with the most innovative and highest quality products available in the market today. 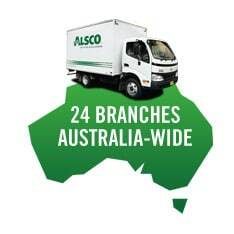 You will be supported, on a daily basis, by Alsco’s extensive sales team. There is no cost for acquiring new customers on your route, and our sales executives are working hard to deliver these opportunities to you every single day. You will be fully supported by our Australia-wide sales branches. Perhaps the most compelling reason is that this is a brand new opportunity. Alsco has never before offered Delivery Subcontractor careers outside of the company. You will be part of the first intake of new Delivery Subcontractors and you will therefore get the best choice of the most lucrative routes. Step 1: Fill in the Careers Form to make your application. Your enquiry will be delivered immediately to a senior manager within Alsco, who will review your request. Step 2: Alsco will telephone/email you to arrange a quick interview. We’ll have a chance to sit down and discuss the opportunity and learn more about what you’re looking for. You will have an opportunity to spend a day on a route to see how we operate and what we expect from your service. Step 3: Paperwork will be finalised and your route will be assigned.